If you've ever wondered what your web provider is doing with the money you're paying him, or if you've ever tried to leave and realized you're locked into a contract, you're not alone. Unfortunately, there are a lot of shady web providers out there, and they have no mercy when you decide you're ready to break up with them. We can help you protect your investment! Your web marketing is the product of many, many (many) pieces of a much larger puzzle. If you don't know what to look for, it can be very easy for a web provider to pull the wool over your eyes. 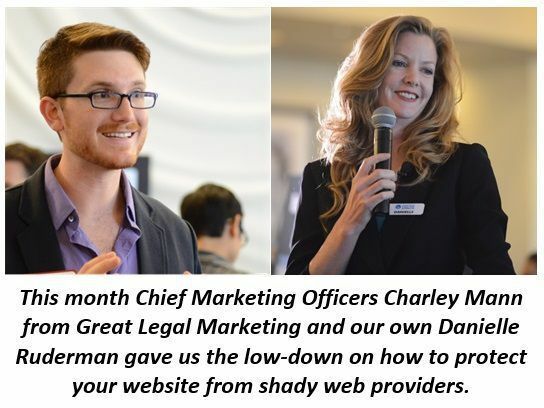 In this webinar, Danielle Ruderman and Charley Mann explain exactly what you need to lookout for, how to prepare yourself if you plan to switch providers, and what steps to take to protect your site after you leave. How do we know? As we've taken over websites from large providers and small providers, we've seen it all. You can protect yourself from these bad guys, and you can even stave off some of these issues before they become a permanent problem. You can also follow along with the slides, and remember that it is much easier to correct a handful of issues now, rather than deal with the fallout later. Ready for more? Check out some of our past webinars at fwm.tips for our entire archive! Last month we gave you the Top 10 Marketing Must-Dos. They will help you prioritize your marketing, engage with your ideal audience, save your valuable time and limit frustration!